25.10.2014 (Hvino News). The biggest of all festival celebration has started in Georgia. The streets of Old Tbilisi are alive this weekend for a two-day event celebrating one of the country’s most colorful and spectacular festivals – Tbilisoba, the celebration of the diversity and history of Georgia's capital city. One of the most enjoyable events of the festival will be Wine Parade, and exhibition/sale of traditional Georgian wine, which will take place from 3-4 pm near Metekhi Bridge, Meidani, Rike in Tbilisi. professional jury, which consists of enologists (members of state tasting commission) and sommeliers, public jury with public figures, and media jury - with journalists. Tbilisoba is a celebration of the city’s 1,500-year history and today, it is one of the most anticipated festivals in the Georgian calendar with locals and guests coming from all over the country to celebrate their capital city’s history. It also had the unintended effect of engaging Georgians more intensely in their national history. 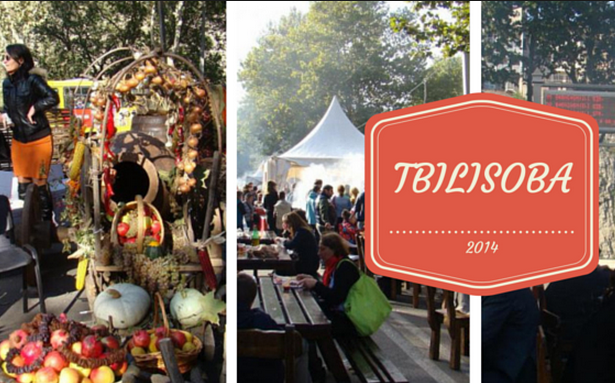 Tbilisoba was first held on October 28, 1979, and since then it has become a highly anticipated annual tradition. As well as celebrating the city's past and present, people from all over Georgia represented their region at the harvest fair today. As well as trying regional delicacies, festival guests were given the opportunity to taste fresh Khinkali – a Georgian dumpling with spiced meat, herbs and onions – or Mtsvadi, a Georgian shashlik made from fresh meat on a skewer.